deck for my wonderful wife for our 10th wedding anniversary. 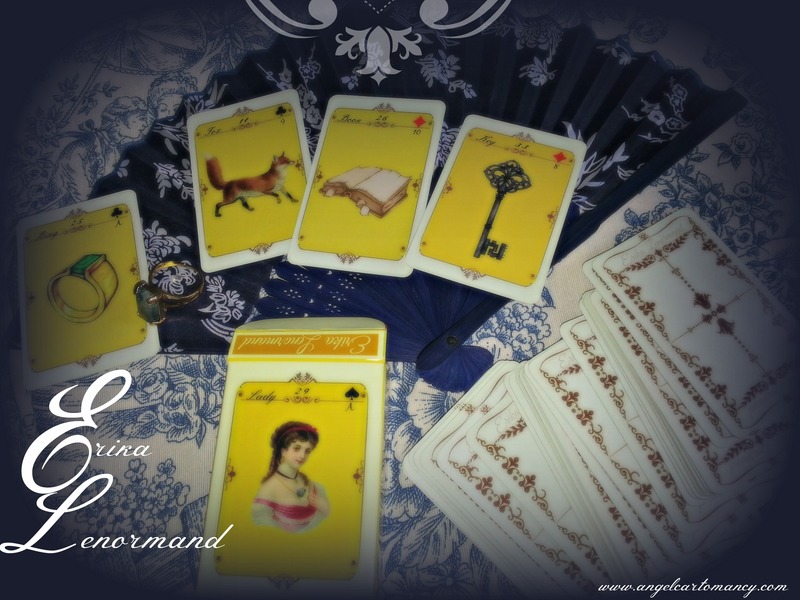 This deck hold the pure french tradition of the lenormand system. The Lilies are white, the crossroads split in 2, the fox is red, the rider rides a horse and more. The deck is bridge size, wonderful for those having delicate and small hands. Its the favorite of many Lenormand professional reader. Nestle in a tuck box with PDF guidebook, the Erika Lenormand will bring ‘Le chick Parisien’ to your reading. A set with a matching card pouch is also available. Bridge-size of 2.25” x 3.5” (57mm x 89mm)(36pcs) /Pdf guidebook / Packaging: Cardboard tuck box .